Nice building lot in US Hwy 19 with estimated 200-ft frontage. Not in flood zone. Commercial potential. Next to FWFC access and Chassahowitzka Wildlife Management Area in back. 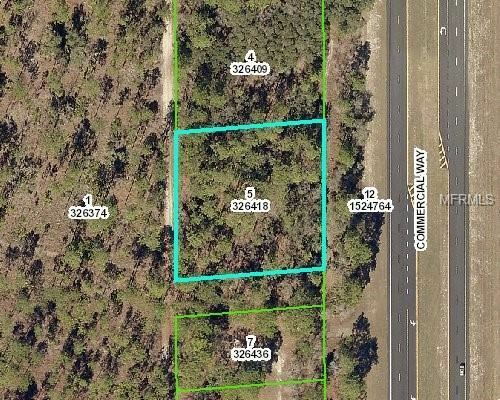 N on US-19/Commercial Way, lot on R.
The approximate monthly Principal & Interest payment for this property would be $106. This payment is based on a 30-year loan at a fixed rate of 4.12 % with a down payment of $1,950. Actual lender interest rates and loan programs may vary.